Back at the Second Vatican Council, the Declaration on Religious Liberty Dignitatis Humanae made a very interesting statement. 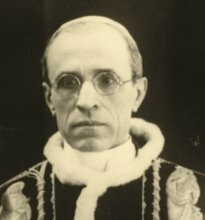 The opening paragraph of the declaration states that the document "leaves untouched traditional Catholic doctrine on the moral duty of men and societies toward the true religion and toward the one Church of Christ" - and immediately after stating that traditional Catholic doctrine remains "untouched", goes on over fifteen chapters to propose things that had never before been expressed in any official organ of Catholic teaching. Theologians have been muddled ever since trying to figure out how such a novel document can be reconciled with tradition - how such a document can leave Catholic doctrine "untouched" while seemingly overturning it in every paragraph. Not everybody is bothered by this. Many people will simply take the Declaration's statement that traditional doctrine is "untouched" as establishing the fact, as if there mere statement of continuity is all that matters. One recent example is Pope Francis' off the cuff statements on intercommunion between Lutherans and Catholics. After seemingly suggesting that Lutherans could receive Communion in the Catholic Church if their conscience was clear about it, Cardinal Gerhard Müller stepped in to do damage control. But rather than explain how the pope's comments could be reconciled with Catholic doctrine, he merely declared that they were in line with Catholic doctrine and said other inferences were "misunderstandings" - all the while never addressing the pope's actual comments. Please see our article here for a more thorough review of this problem. But who cares? Müller declared continuity so continuity is established. A more recent example is the hubbub over Amoris Laetitia. Full disclosure: I did not read Amoris Laetitia. Maybe I will someday. I have better things to do with my time, honestly. But I have taken a look at some of the questionable passages, including the controversial footnote 351. And I have read a lot of commentary on it. From what I can see, my raw opinions on the document's controversial passages are fairly in line with what Ed Peters wrote on his blog a month ago. Peters is certainly no traditionalist, but he points out real, substantial problems with the document in terms of some of its assumptions and inherent confusions. Other critics have made further assumptions about the implications of the document (that it allows wiggle room for communion for adulterers, that it implicitly adopts a moral theology of gradualism, that downgrades the obligations of Christian marriage to the level of an ideal, etc). I am not asserting any of these things, especially as I have not read the document. But others have, such as Athanasius Schneider, who said the document was vulnerable to misinterpretation and needed clarification. Now, not every statement of the Magisterium needs a full apologetic for every sentence. But I would also add that they do need them occasionally, especially in eras of great confusion. 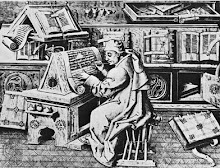 If there is considerable confusion of how a document is in continuity with tradition, the Magisterium ought to explain how it is in continuity. But the party line so often is to simply state the document is in continuity without bothering to give us the details - without explaining how. Following the precedent set by Dignitatis Humanae, it's like they think that merely asserting continuity establishes the fact. Sometime over the years they stopped identifying the elements of continuity and restricted themselves to merely proclaiming it. Never mind how. Never mind that educated theologians, canonists and bishops still can't understand in what sense the documents have continuity. Continuity has been declared, ergo it exists by Magisterial fiat. Thus with Amoris Laetitia. 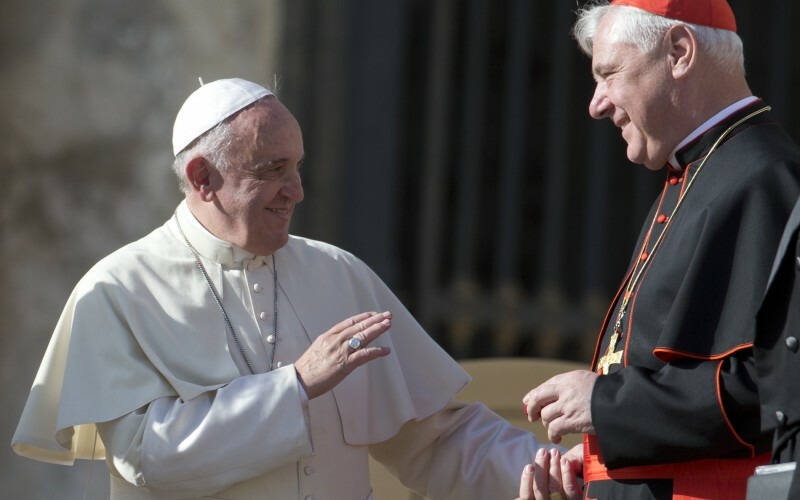 Cardinal Müller comes out and states that Amoris Laetitia is in perfect continuity with tradition. 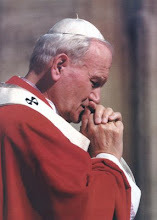 He states that Francis did not mean to call the teaching of his predecessors into question. Fine. But what about those passages that do seem to contradict Familiaris Consortio and Sacramentum Caritatis, like, you know, footnote 351? The cardinal says footnore 351 is only making some very general observations and that's about all we should take away from it, “Without going into detail." Without going into detail? Detail is what we need at this point, sir. 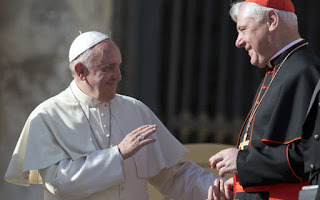 He then simply restates the traditional teaching and says that Amoris Laetitia "does not touch on the former discipline.” His only other comment on the footnote is that if the pope thought it was so important, he wouldn't have included it as merely a footnote. None of this actually parses what the pope said or explains how it is in continuity; after all, Müller wanted to discuss it "without going into detail." But who cares? Continuity has been declared. The fact is established. Cardinal Raymond Burke is another example. His essay on the Amoris Laetitia states that "the task of pastors and other teachers of the faith is to present it within the context of the Church’s teaching and discipline." I agree wholeheartedly. But when we don't understand how to reconcile certain statements with the Church's teaching and discipline, you need to tell us how, sir. "The Church’s official doctrine, in fact, provides the irreplaceable interpretative key to the post-synodal apostolic exhortation, so that it may truly serve the good of all the faithful, uniting them ever more closely to Christ, who alone is our salvation. There can be no opposition or contradiction between the Church’s doctrine and her pastoral practice." Yes! There can be no opposition between doctrine and practice. Now please explain how the document does not create such an opposition. Merely stating there isn't one does not establish anything. You can't create continuity just by saying it exists. You can't tell us the traditional teaching is untouched when the context of the words seems to suggest otherwise - and if we are wrong, then please explain how. Please explain how things are not in discontinuity. You cannot create continuity by fiat decree. You cannot substitute a phantasm for substance. While I agree that this makes sense in a context like Dignitatis Humanae, which does modify traditional teaching on various points, I don't think it makes sense in relation to Amoris Laetitia. Pope Francis made clear that he wanted some people to be admitted to communion even if they are divorced and remarried. If that wasn't clear from the document itself (which it was), he made it clear when he was asked directly. That contradicts canon law on the matter. But the Pope is the legislature, and has the authority to change that. It does not contradict any doctrine. The people who say it does contradict a doctrine are inventing doctrines for themselves; for example, James Larson says that the document is heretical for claiming that a divorced and remarried person can be in the state of grace. That is obviously not a doctrine at all; the Pontifical Commission for Legislative texts previously clarified canon 915 in essence by saying "divorced and remarried people are not to be admitted to communion, whether or not they are in the state of grace." They certainly do not say that such a person cannot be in the state of grace, nor does the Church say that anywhere. That supposed "doctrine" is a pure invention. I think the truth is that traditional teaching is touched and that the way around this dilemma--the tactic often chosen, I mean--is simply to say that X (a confusing part) needs to be read in light of Y (traditional teaching related to X), such that even where seemingly X contradicts Y--you need to revert to the traditional teaching because "X cannot possibly contradict Y." So in practice, this means ignoring or simply affirming the contrary of certain X's. I've seen this with Vatican II and now with AL. So whatever one *thinks* X means when read in itself with basic reading comprehension skills, surely it cannot possibly mean something that is contrary to Y. But as you note, the underlying problem of X seemingly contradicting Y is never addressed. Continuity is assumed because, rightly in one sense, there must be continuity in the teaching of the Church. There must. But when there is not, or seemingly is not, to simply assume continuity even to the point of denying the facts on the ground raises a host of questions. These are never addressed. I suspect the reason is because they (those who take this approach) have no reason or answer. They truly don't. The answer to this dilemma must be sought elsewhere, a place so many are not willing to go. Further, I find it very confusing that there needs to be so much "interpretation" after each document like this. Isn't the point of the document itself to be communicative to the faithful? Why can't it stand on its own? Again, this is the same with VII. We need a hermeneutic to properly decode VII--why? Why do these documents not simply communicate straight whatever the ideas and intentions of the one responsible for them? Another sign of a problem with AL in particular is that Cardinal Burke was quick to state that AL is not magisterial. Now, if there is nothing in it that goes against traditional teaching or even sound Catholic pastoral guidance, why this qualifier? And, further, what then is the point of the document? The Pope's private reflections? That's not why we have a pope and certainly not why we have one speaking in this context, in this type of document. If that's the case, it all seems quite vain in itself, not to mention the endless commentaries and "interpretations" in its wake. The only purpose I can discern for AL is to keep theological pundits employed. "Herein resides the essence of this heresy. It lies specifically in teaching that there is a “gradualness” applicable to the possession of charity and sanctifying grace. 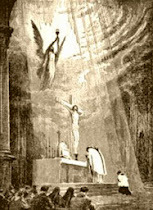 It is Catholic dogma that possession of supernatural charity is an ontological state created by sanctifying grace added to the soul, that one cannot possess this charity unless living in this substantial state, and that it is this state of being which is absolutely necessary for receiving the Eucharist and other sacraments." You pretty much nailed it. Sometimes I feel like speaking from the heart, but that might not be very prudent. 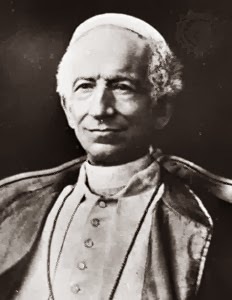 Suffice it to say that we are witnessing the greatest departure from Tradition in all aspects of ecclesiastical life which will continue if we simply keep going down the road of "fiat continuity". I recently watched the video of a sermon by a Traditionalist (Ecclesia Dei) priest who shall remain namless. He said we were waiting for a clarification by the Vatican of those parts of AL that seem to be contradictory to what the Church teaches. I wonder if this priest really believes that we will ever receive such a clarification. Indeed, according to Fr. Ripperger, the Magisterium has a grave obligation to rectify or clarify these things. But has anyone ever clarified VII? I remember vividly when I had just left the SSPX and asked a Trad cleric (whom I highly respect) "What about Nostra Aetate?" when we were talking about Vatican II. Somewhat taken aback, he looked down a little and said "it can be reconciled". As you can imagine, I too was somewhat baffled and we changed the topic. No matter how hard they try, you can't fit a square peg in a round hole. You can't dialogue it in there.The peg is praxis; the hole is Tradition. The peg is square. The hole is round. The peg will not fit. In order to get the square peg into the round hole, you must change the hole to accept the peg. This means that the hole will no longer be round. It will have some roundness to it, near the outskirts, that's the continuity, but it will be more like a square, at the sides, that's the rupture. In the end, when you're done whittling the round hole to accept the square peg, you have destroyed the "roundness" of the hole. Oh, sure, you can still see where the round edges once were, but now the square peg takes up 90% of the opening. In essence, you have destroyed the hole. They have destroyed Tradition. That is their goal. It is up to us, the laity, to stand up to the hierarchy. There are too many men in the hierarchy who want to stop the destruction of Tradition but they don't have the courage to just say "You are wrong. Stop it." Archbishop Lefebvre stood up to the Pope, now a saint, and his right hand man, and look what happened. 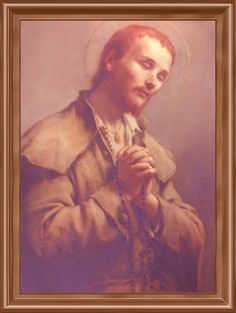 We need more men like Lefebvre who aren't afraid to be sacrificed for the good of the Church. Marcel, right after that he says, " It cannot be possessed by a person living in objective mortal sin, or by any person who is in some process of pastoral effort working towards the attainment of some “ideal"." That would be true if "objective mortal sin" meant someone not in the state of grace. Obviously someone who is not in the state of grace is not in the state of grace. That is a tautology. But he did not mean that. He meant, "Someone living in an external condition of sin such as divorce and remarriage cannot be in the state of grace." And that is not a doctrine. And he did not mean this, then Amoris Laetitia does not contradict Larson's statement, since Amoris Laetitia does not say that someone in a state of sin can be in a state of grace. In says that someone living in an -external- state of sin can be in a state of grace. "Full disclosure: I did not read Amoris Laetitia. Maybe I will someday. I have better things to do with my time, honestly. But I have taken a look at some of the questionable passages, including the controversial footnote 351. And I have read a lot of commentary on it." Do you realize how gay this sounds? Sorry if it creates cognitive dissonance, but either read it or stop mentioning it altogether. It's not War & Peace. Seriously. Deal with the crisis at hand. I'm not commenting on AL but on other people's comments on AL. And no - I can read or not read whatever I want and pontificate about whatever I want whenever I want. It's only a blog. "Herein resides the essence of this heresy. It lies specifically in teaching that there is a “gradualness” applicable to the possession of charity and sanctifying grace." That is, rather than understanding it an either/or state that one is in - an all or nothing, like the light switch is either on or off - AL blurs this line and distinction. I think what you're referring to is the distinction between objective grave matter and whether a person is guilty of that grave matter--one can be involved in objective grave matter yet not be in a state of mortal sin, subjectively speaking (lacking either full knowledge or full consent). The problem is that the Church does not judge people's souls. The prohibition against giving Communion to public adulterers is based on their public actions. The Church isn't determining this or that person's culpability and then saying, "No Communion." What AL attempts to permit is a way of giving Communion to those in an objective state of sin--in your terms, an "external" (by which I think you mean public) state of sin. Part of the problem with this is that there is already one third of the conditions for mortal sin present (the objective public state). Now, the Church (her pastors) would be negligent if they did not instruct the ignorant (assuming there is ignorance of why is this is a problem) and/or call those who are straying to repentance. Anything else is not truly pastoral or merciful. Finally someone has addressed this issue - just HOW the heck are we to do what we are told to do? Where is the youtube demonstration? The square peg, round hole analogy is apt. Funny that we 'traditionalists' are accused of blind faith. I can't think of anything more blind than the belief that continuity exists when it does not. Isn't this the battle the SSPX have been fighting? They keep telling Rome there is no way to make the peg fit in the hole. Rome tells them "just jam it in there, it's fine!" And very odd that it appears Rome will no longer ask the SSPX even that. They are to just look away from peg and hole and be happy. So thank you very much for bringing this up so clearly. 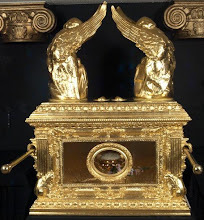 What I don't understand is that the Church already gives communion under certain circumstances to people in an objective state of mortal sin -- non-Catholic Christians who under certain circumstances ask for the sacraments of holy communion and confession. They are in an objective state of mortal sin because they are not in communion with the Catholic Church (that is objectively a sin against faith, although they may not be subjectively culpable), yet canon law allows them under certain circumstances to receive those sacraments. What has happened to the Church's praxis of faith after Vatican II seems to be creeping into the Church's praxis in morals in this Pontificate. I'm with you in that I'm not sure what to make of it. 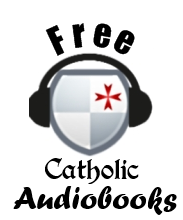 My suggestion Bonifice is to ask around or look into the old moral theology manuals and see if they answer this question: is it possible for confessors to leave a penitent in certain circumstances in ignorance of their sin, and absolve them and allow them to go to Holy Communion, if informing them would do greater harm? "The confessor is also obliged to instruct the penitent if he is culpably ignorant of any point of natural or positive law. If he is inculpably ignorant, it depends. If he is inculpably ignorant of something necessary for salvation, then the confessor is obliged to instruct him. If he is inculpably ignorant of some other matter (of which he can be ignorant) – even something of the divine law, the confessor should prudently decide whether the instruction will be profitable for the penitent. [b]If it will not be profitable, he should not make the correction, but rather leave him in good faith[/b]. The reason is: the danger of formal sin is a much more serious thing than material sin. God punishes formal sin, for that alone is what offends Him. This I proved more sufficiently in my Moral Theology." Moral theology is an incredibly complex field. And it is not as simple and straight cut as many conservative/traditionalist Catholics seem to make it out to be. Is this not due to the common theological opinion that, as long as you claim continuity with tradition, you can't be accused of formal heresy, even if what you say is materially heretical? It seems that was the lesson the Modernists learned from Loisy and Tyrrell. To some degree yes. But I think for many it is not that well thought out. I don't think most common folks who think this was are trying to hide something. They just think this is what continuity means. It does a soul good to remember the observation of Msgr. Gherardhini vis a vis V2 and Tradition; It is not enough to declare Continuity, it must be demonstrated. Jorge Bergoglio is a Fraud. I certainly have no right to ask this of you Boniface, but will you be commenting soon on the recent revelation of Benedict's resignation as an alleged attempt to "split" the Petrine ministry into an active and contemplative component, with Francis as the former and himself the latter? I don't know. I have barely kept up with the news. But this is very very disturbing. I remember though this is not new. I think as early as late 2013 BXVI was making similar comments. Dear C. Matt. It is a steaming pile of B.S. The Principle of non-contradiction and the Principle of the excluded middle entirely eviscerate any attempt to sell this crap. Ratzinger ain't Pope or even Pope Emeritus. He abdicated. PERIOD. 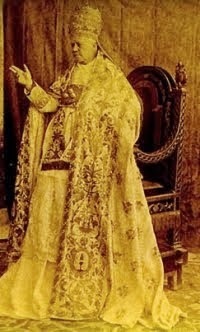 it is over and should ditch the white robe and the Pope Emeritus crap. He is Bishop Emeritus Ratzinger. When B.S. like this is attempted it is best to shout it down and mock it. But that is utter B.S. as Saint Peter's has drawer after drawer after drawer of black vestments. Even IF it didn't, did his abdication surprise him so he had no time to prepare and have a black cassock in his possession? This is all utter B.S.